The automotive industry, mainly repair shops, faces vast exposures that can lead to lawsuits. These exposures should be mitigated from the beginning, in addition to being protected by insurance . 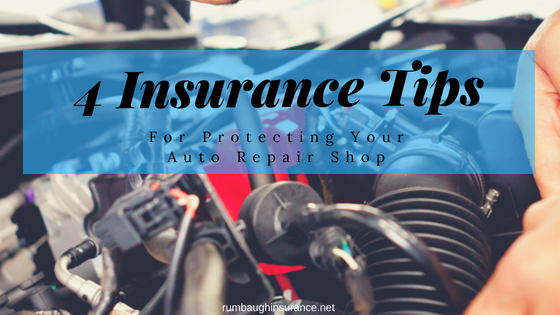 Chances are, you have an insurance policy to cover your auto repair shop. This is a step in the right direction, but there are several things you can do to help protect your business. Here are four ways to protect your business and the exposures associated with them. 1. Protection from Chemicals – Your repair shop employees are exposed hazardous chemicals throughout the day. Cleaning supplies, antifreeze, and battery acid are just some of these. To prevent risk, employees should wear gloves and a mask or respirator when they are handling these chemicals. Be sure that your shop is adequately ventilated as well. 2. The Cars You Work On – When a customers’ vehicle is in your care, custody, or control you are responsible for it. Be sure your insurance policy covers this exposure (garage keepers) as well as train your employees to handle vehicles with care. 3. Fire – Not only do you need to worry about the chemicals mentioned already, but the cars themselves, cigarettes if you allow your employees to smoke, specific tools and oil spills can be flammable. Train your employees on fire prevention on a regular basis. They should dispose of the chemicals and any rags they use each time correctly. 4. Injury – This may easily be the most prominent exposure in your repair shop. To prevent injury never allow customers into the area where the cars are being repaired. Train your employees to make sure they are using the proper tools for each job. These are just a few of the exposures that come with owning a successful auto repair shop. Keep these tips in mind when training your employees and reviewing your risk management plan. If you have questions, contact our insurance office in Hanover PA at 717-632-6001.